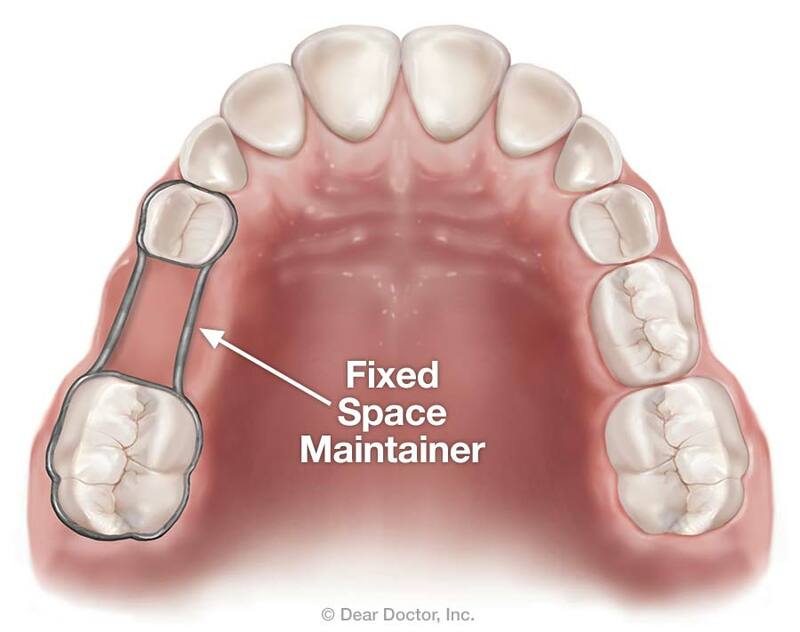 Space maintainers are also useful when one or more permanent teeth are congenitally missing — in other words, they have never existed at all. In cases like this, which are not uncommon, permanent dental implant teeth are often recommended to replace with the missing teeth. But timing is very important with dental implants — they can't be placed in a growing child. Therefore, a space maintainer with a false tooth on it can be used until jaw growth is complete and an implant can be appropriately placed. It's a simple, non-invasive way we can avoid a malocclusion (bad bite) with some timely intervention.